There are no any additives in our barley grass powder, we can meet Japanese organic standard. It is dried by hot air, the temperature is no more than 70℃, so the nutrients of powder is preserved as much as they can. 1. Barley grass powder is rich in dietary fiber, it can stimulate the intestinal peristalsis, so it can treat constipation very well. 2. This powder from barley grass is rich in antioxidant enzymes ---Pre-SOD; it has an excellent antioxidant effect and helps people keep skin soft and whitening. 3. 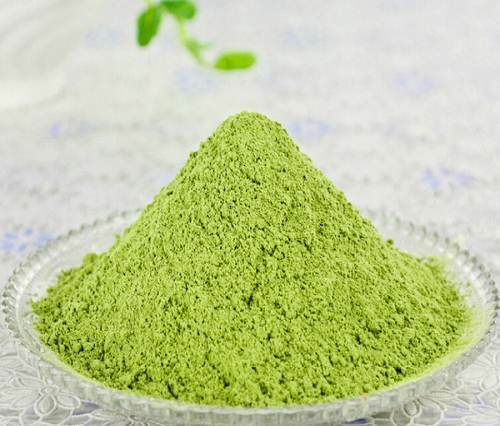 Barley grass powder contains a lot of vitamin C, beta-carotene, it can ameliorate the acidic physique, purify the blood and promote metabolism of the body.